It is my opinion that what Calvinists, Arminians, Universalists and virtually all other believers in Christ have some beliefs in common beyond a simple faith in Jesus as the Son of God — whether they want to admit it or not. And some of those beliefs aren’t necessarily good. I can’t say that I buy into that. If I say “Singing at church Sunday was awesome,” and you ask me “Why?” and I reply “Because everyone sang,” you don’t assume that I meant “everyone who has ever lived through everyone who ever will.” When Genesis 6:5 says everyone was perpetually evil all the time, did that include Noah? His family? Second, I think most believers share in an absolutist definition of “wickedness” in Romans which includes any sin, any number of sins, the nature of anyone who is not perfect and sinless. In other words, imperfection = wickedness. All sin is the same. Anyone who sins is damned. Go ahead and read Romans 1:18-32. I’ll wait. Now I ask you: Is that talking about people whose minds wander a bit during communion or who clap while singing praise to God in church or who let fly an epithet in an unguarded moment once in a while? Third, most believers don’t believe what Paul says in places like Romans 2:6-11 (and many other scriptures) unless they get to add their own qualifications to what’s said. For them, “doing good” must include obeying God the way they define it. Otherwise, it’s not good enough. Even those of us who understand that our works don’t and can’t save us. In the epistle to the Romans, it takes some discernment to figure out where Paul really is talking about everyone and about universal (not Universalist!) principles … and where he is talking just about people who have had some exposure to the notion of God … and where he is talking about people who grew up knowing all there was to know about God. And it’s important! Because the things said about one group of people may not apply to another group of people. It takes some discernment to plot out where he begins talking to Jews only … and where, much later on in the epistle, he addresses Gentiles only … and where, still later on, he’s talking to everyone again. Not as much, but some. Plus, he’s writing — obviously! — to people that have heard a gospel and have heard that Paul has a gospel and accusations against both Paul and his gospel. And that’s important to know, too. Because the things said to one group of people may not apply to another group of people. Right? It takes some discernment to figure out whether Paul means that imperfection is the same as wickedness … if someone can actually be good and do good without hearing the name of God, having intuited His existence and goodness from what has been made, yet without having descended into the wickedness of idolatry and worship of self … if someone can actually be good and do good having heard and understood the will of God but having willfully rejected it in order pursue whatever gratifies self, at whatever cost to others and to God. I’m not going to pretend that I have it all sorted out and there is a simple color-coded systemological map that you can overlay the epistle with and have it all neatly figured out. But I’m smart enough to pick up on the fact that Romans is not a one-size-fits-all letter with the same thing to say in every verse to and about everyone in Rome, or just every believer in Rome. Or to every Jew and Gentile who has encountered it since it was written. This is the kind of judgment that comes from self-righteousness … the inability to see the plank in one’s own eye while trying to pluck the splinter from another’s. It’s the kind of judgment that a Pharisee or teacher of the law uses to justify crucifying an inconvenient prophet from Nazareth. So there are people who have persisted in doing good … as well as those who have been self-seeking and follow evil. The standard of judgment is the same for Jew and Gentile. When it says “God does not show favoritism,” does it say that He just going to save everyone because He doesn’t play favorites? No. When it says “God does not show favoritism,” does it say that He will just condemn everyone who hasn’t heard because they have rejected truth they’ve never heard even though they might (or might not!) have persisted in doing good? No. It says He doesn’t play favorites in saving Jews over Gentiles. That’s pretty much the point of the whole epistle, and why there should be no racial judgment taking place between the two groups! So it is possible for people who have not heard the law to still do things required by the law that are written on their hearts. We know from this epistle that keeping works of the law does not save. But the Gentiles described in this passage would have been described in scripture as “God-fearing” before the crucifixion and resurrection. Would they have been saved before those events, yet damned after? Can we read that passage and still believe it is not possible for someone who has not heard of Jesus to live good lives, lives repentant of living for self, lives that express belief in love for others (and God is love)? That they cannot have belief in a good creator God who has put in their hearts a moral compass and a yearning for more than this life? Can we absolutely state that God cannot or will not impute the saving blood of Christ to those whom He wills, those who please Him by lives that give Him glory whether they have ever heard His name or not? Does he — in this epistle or any other scripture — ever say that it is impossible for them to receive God’s salvation? Does any writer of scripture? Scripture says we are not under law, but under grace (Romans 6:14-15) and saved by faith, not works (Romans 3:27-28; 9:32; Galatians 2:16; 5:4; John 5:24). It also says all will be judged (not saved, but judged) by their works (Matthew 25; Revelation 20:12) and words (James 3:1, Matthew 12:37) — and in the way that we have judged others (Matthew 7:1-2; Luke 6:37). Are we ready to make a judgment that only one or the other of these is required? Just one and not the other? Both? Have we as believers done one but not the other? And aren’t we judging those who haven’t heard when we interpret scripture to say that God cannot, will not, and/or does not save them at His own discretion — when scripture does not say so? That they don’t rate an individual judgment like those who have heard and are just categorically out-of-luck? Damned automatically by chance of birth? Don’t get me wrong: the gospel is still — and has been since Jesus lived it — the way God wants for His power to save to be shared with all; with everyone, everywhere, in every era. Those who hear and believe; who will repent and conform their lives to Christ have a promise of salvation and advantage that those who heard do not have. At the same time, I feel completely inadequate — and forbidden — to judge the life of someone else who has not had that advantage and say that their faith is inadequate because they don’t know the Name. And I think it extremely presumptuous to say that God does not have the power, the right, the sovereignty, the love that covers sins, the grace that triumphs over judgment, to show mercy to whom He will show mercy and compassion to whom He will have compassion … to say that He is somehow contractually obligated by the way most believers have historically interpreted Romans and other scriptures to categorically condemn everyone who has not heard, understood and accepted the gospel of His Son Jesus, the Christ. We don’t believe that’s necessarily true of categories within it like babies and small children, mentally challenged people, or those among His people who lived before the Word took human form in Jesus. We tend to believe — want to believe — that God can impute the grace bought by His Son’s blood to those exceptions, though we have no scriptural basis for that belief. What does it say about us that we somehow want to believe that He cannot or will not save good people who have diligently sought Him but never had the opportunity to hear His name or His story? I believe that is our double standard, not His. I believe it’s our error that this kind of final judgment is ours to make, before the Day when He decides. Not that He will save all whoever lived. There are those who are mortal who have chosen to defy, oppose and blaspheme all that is good and all that is of God, just as surely as there were those who were celestial beings who so chose. Their reward is just. My pity for them has no salvific power. My conviction that God’s heart also breaks for each one cannot redeem them. They must choose and they have chosen. What they have chosen will not prevent me from loving and trying to reach as many of them as I encounter. Because the promise always beats the possibility of a relationship with God. I believe God created this world and us to offer us choice and then to respect our choices. We can choose good or evil, righteousness or sin, God or Satan, salvation or damnation … love or judgment. … for the reasons outlined above. Help me understand what I can say that the gospel actually saves someone from. Since I don’t know what they’re being saved from, how can I compare what’s on offer with anything else? Sin, of course, Nick. That doesn’t change in this way of viewing God’s salvation. What changes is that He makes the judgment on that Day, rather than us making it for others now based on our presumption of their guilt as untouchable by His grace. People who love and do good things still need the gospel of Christ as much as people who hate and do bad things. We’re all still guilty of sin. kb, I see your still having problems with those who have never heard. If God has provided a way for man to be saved and has revealed that to us why can’t you just accept it. If He has told us what we must do, then we must do it. God is no respecter of persons as you have quoted, but you make Him one when you imply that He will ignor what he has said and save those who have never heard. I don’t think I’m having problems with those who haven’t heard. What has God specifically said about those who haven’t heard, Jeff? Send me to the verse(s) in scripture where He talks about them. Since your argument here excludes “those who haven’t heard” from the “all” passages in the NT, I don’t think your question can be answered. But that’s because I don’t think the NT views the problem in the way you’re parsing it – that there’s a voluminous middle ground between the broad and narrow ways of Matthew 7, a middle ground where people have sinned but have not succumbed to wickedness. To be clear, though, I’m not sold that the ignorant will be punished. My own thoughts fall far closer to Fudge’s theory on conditional immortality – the ignorant will experience death, but hell is reserved for covenant breakers. My argument doesn’t necessarily exclude those who haven’t heard from the “all” nor does it paint any middle ground between wide and narrow, voluminous or otherwise. It simply recognizes that this is all a lot more complicated than our minds capable of — or authorized to be — making categories and judgments. When we say all those who haven’t heard the gospel are lost, we’ve done that. We’ve created a category and pronounced our judgment — based on our interpretation of scripture but not on any single scripture or group of scriptures which directly addresses that category. We don’t argue that Rev. 21:8 condemns all penitent, believing former liars because they have in the past told lies, for instance. Is that talking about people whose minds wander a bit during communion or who clap while singing praise to God in church or who let fly an epithet in an unguarded moment once in a while? I doubt it – but it *is* talking about people who have called their brother a fool. People who have looked at someone in order to lust after them. Those who have used promises to manipulate others. Those who have resisted the demands of evil people. Those who have hated their enemies. Those who have done acts of righteousness for applause. If it is wicked to violate Matt 7:1 (even Paul comes under condemnation for commanding judgment in 1 Cor 5:12-13), it is also wicked to violate the other foundational precepts of the Sermon on the Mount. Is it talking about people who have violated foundational precepts of a Sermon on the Mount they have never heard? How many times? One? A dozen? Hundred? Thousand? But, in spite of having done these things and felt deeply within themselves that they were wrong, and perhaps even having apologized and done their best to make things right, have lived preponderantly good and loving lives? People in nations where there is no gospel, no scripture, no missionary? All I’m saying is that the answer isn’t up to us. It’s up to God. One more time: I’m not arguing that people are saved by good works. They’re not. I’m not arguing that people earn salvation. They can’t. I’m not arguing that people aren’t guilty. They are. I’m arguing that God has the call. Because, as nearly as I can tell, the Day has not yet come and scripture says that each will be judged (Rev. 20:13), not just those who have heard. We’ll have to wait and see how it turns out. Was Paul under condemnation? Or judgment? I really don’t know, Keith – but I’m not the one asserting that judging is 100% wrong all the time no matter what. Maybe Jesus is, maybe He isn’t. How do you think we should interpret 1 Cor 5:12-13, where the apostle commands judgment? I evidently don’t explain myself very clearly, and I regret that. Is Paul commanding judgment of others’ eternal disposition in 1 Corinthians 5, or judgment that the things they are doing are wrong, inconsistent with living for Christ, and that those guilty of them cannot and are not sharing in the fellowship of Christ? And I’m not asserting that judging is 100% wrong all the time; but judging others is. We’re not qualified to do it. We’re not authorized to do it. When the Apostle commanded judgment, I agree with you that that judgment expresses the fact that the judged are not sharing fellowship with Christ at that time and that, unless they repent, that breach will not be healed. I believe that we are saying nothing different when we say that the lost are, well, lost. They are not currently sharing fellowship with Christ and, unless they repent, that breach will not be healed. The “unless they repent” is always understood in any language of mine, as is my belief in conditional immortality. So is it only possible for those who have heard the story of Jesus to repent? And is “lost” always synonymous with “condemned” in scripture? I know this view raises a brain-drenching torrent of questions, but if we’re trying to surface through centuries of interpretation and possibly incorrect assumption, they have to be asked. For instance, in John 3:18, is Jesus talking to Nicodemus about all people for all time, or just the ones to whom He had been sent at that time — who had a knowledge of the law and prophecy He fulfilled perhaps even better than N. T. Wright and were therefore very culpable on the question of faith in Him? More culpable than people today? Is salvation merely the reward for checking boxes next to hear, believe, repent, confess, be baptized … or the reward for living out faith even when one can’t put a name to Whom has faith in? Is it just a matter of personal redemption, or also the reconciliation of all things to God and their renewal? When writers of scripture speak of faith/belief in the name of Jesus, does one have to know that name (in their own or any other language) to believe what it means: that God saves! Are we justified in sneering that faith in (fingers-in-the-air quotes) “love” is not enough when God IS love? It will be the word (John 12:48) that will judge us all. John 8:24 Jesus said, “Therefore I said to you that you will die in your sins, for if you do not believe that I am HE, you will die in your sins.” Whether you hear and reject or if you never hear at all, you do not believe that He is HE, you will die in your sins. Now, is what Jesus said true or not? Keith says that we don’t necessarily have to believe that He is HE. 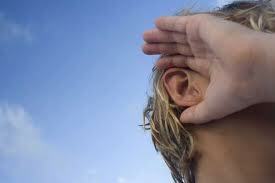 How many times in the gospels do we find “he who has an ear, let him hear.”? Hear what? Could it be that saving meassage of the gospel? Was Jesus talking to people who couldn’t hear Him? Context, Jeff. Instructions-warnings-threats made to people who presume b/c of their possession and knowledge of the Scriptures that they are covenant members to whom God is beholden do not necessarily bear the weight or intent of universal instructions. Plus, you’re assuming that “dying in your sins” is the same thing as “damned eternally.” since that’s actually the topic under discussion, you’ve clearly begged the question. No. I think Colossians 1:23 is immensely important to this discussion. The whole cosmos changed at the Resurrection – not completely transformed, but when Jesus of Nazareth experienced the resurrection as the firstfruits of all who believe in him, that truth rang out across all of creation and began working. I’m not sure we can fairly limit the scope of John 3:18 without likewise limiting the scope of the entire passage. If you’re going to add “among the Jews” to one, it seems dishonest to not add it to John 3:16, for example. “Whosoever among the Jews believeth shall have everlasting life.” We have to have a solid reason for limiting some alls without limiting others. Unbecoming false dilemma. You know I don’t think that way. ALL all, or “less than ALL” all? I don’t know. The preaching of Jesus by the apostles caused many people who believed that God saves to be lost, while one who already believed that God saves desperately needed the apostles to come and preach Jesus to him so that he could be added to the covenant people. Why did Peter need to preach to Cornelius, if Cornelius already possessed all the blessings of salvation? Cornelius is a problem case for so many different ideasets. Sneering is never justified – but neither is bringing it up in a conversation that lacks it, where its appearance seems to be a veiled accusation. I’m not looking for quick and easy answers. I’m trying to understand how believing that Jesus is the only way to God and that everyone on earth needs to hear of Him is anything else but a judgment about those people. I’m not adding “among the Jews” or any other phrase to John 3:18; just trying to get to the root of whom Jesus is talking about and when. Even though I love the mental picture of Colossians 1:23, it’s still an interpretation to say it’s an exaggeration, or it’s literal and we don’t have to preach, or it’s literal but we still have to preach and be the gospel’s servant, or it’s describing cosmic transformation. When you say, “I’m trying to understand how believing that Jesus is the only way to God and that everyone on earth needs to hear of Him is anything else but a judgment about those people” — please understand that I don’t argue that Jesus is not the only way to God or that everyone on earth does not need to hear of Him. I’m asking if scripture says that hearing, knowing of and believing in Jesus is the one and only way that God is willing to save … and if not, how can we not appear judgmental and not be judgmental toward others who need to hear the gospel — as long as we assume that God judges and condemns all those who haven’t heard because they haven’t believed. I can’t find it literally spelled out that way in scripture, nor conclusively/necessarily implied, and I’m not willing to make that assumption anymore. That’s as much “interpretation” as is my handling of Col 1:23. You seem to think I brought that up *against* your point – far from it. I’m saying that since I think that something *other than* human effort preached the gospel to the whole creation, I think that your suggestions have greater validity than if I thought Paul meant that the apostles and evangelists had literally spoken to every human being on the planet. You’re suggesting that in John 3:18, “whoever” means a more limited group than “everyone everywhere from now until He returns.” “Just the ones he was sent to at that time” is how you phrased it. So, I’m still trying to understand why whoever should mean “just the ones he was sent to at that time” in 3:18 but *not* mean the same thing two verses earlier. How, then, do they *need* to hear the gospel? I’m not asking, “Why is the gospel good for everyone?” I think we agree on that. I’m asking, “How does everyone *need* to hear the gospel?” If scripture teaches that everyone *needs* to hear it, what does *need* mean in that context? The way I *need* a good book? Need is a funny word with a lot of potential meanings. How does it work in your sentence about the gospel? The gospel is the power of God toward salvation; the Story of Jesus and the reason for hope; the gift of purpose and direction in life; the revelation of life-giving love enfleshed. Without it, the kindest, most loving soul has only an inkling of hope and only the possibility of God’s mercy on that Day. The soul who hears and believes has a promise, a hope, a purpose, a ministry, a call, and a life abundant. like I said… we agree on why the gospel is good for everyone. But I don’t need everything that’s good for me the way that I believe I need the gospel. I believe I need the gospel *more than* I need anything else, ever. More than food and water, more than air, more than my wife’s love. I don’t think we disagree in the need for it, either. It is essential. But only God can decide whether hearing it is required. It should be clear to any truth seeker that these people didn’t know the one true God. They believed in “god” but didn’t know who He was. Paul explains to them who He is and what He has done. He also explains to them that this unknown God, they were accountable to Him. The time of their ignorance was over. Jeff, thanks for chiming in. It’s nice to see that at least we’re all agreed on how important the gospel is. Keith, It seems to me that Paul missed a good opportunity to explain the “Trinity God” to those ignorant men on Mars Hill. I don’t recall him saying anything about it when he had his chance. Forgive me if all this has already been said…It seems like there is a tension between God’s absolute statements and God’s authority and complete sovereignty to do what he wills…because, he is God and we are not. God says so much about baptism and salvation and faith that we view those very absolutely that it would seem impossible that salvation could happen seemingly apart from those things because, God said so! But who did God say that to? Those who heard him say it. Is it possible that those statements are absolute to those who hear/read them but not necessarily to everyone who has not been privileged to have a Bible in their hand or hear it preached? What about those who were not privy to that conversation? Will God condemn people by a standard they were never aware of? It seems Romans 2 opens the door for God to make judgments based on the standard they had. I have heard Jimmy Allen teach the possibility of the salvation of those who never heard based on this passage in his Romans class. But surely you know, Matt, that you are treading dangerous waters here … where God’s grace only saves those to whom He is contractually obligated!